It rained all night long last night. Not a violent storm, just continuous rain. After breakfast, we tried to decide whether to sit out the rain, or head out. 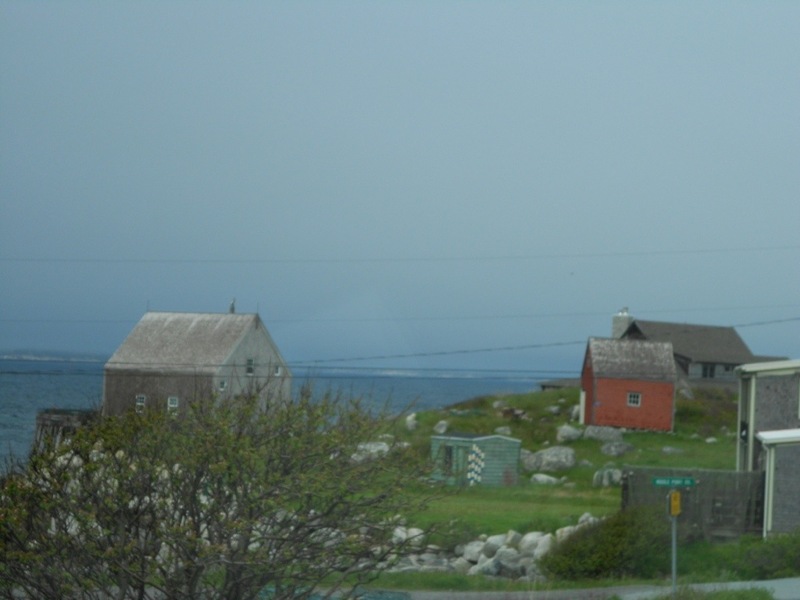 The weather report for Peggy’s Cove was better than Truro, so we made the decision to start driving. 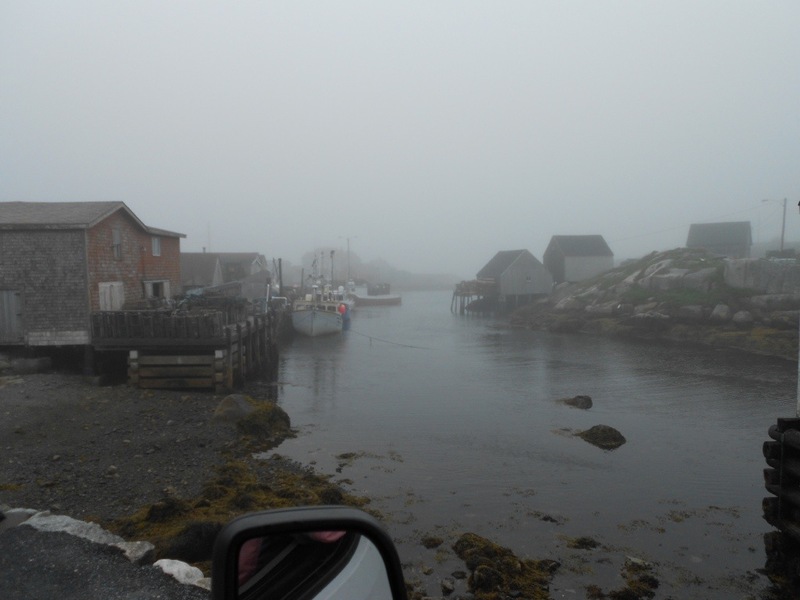 We hit the 3,000 mile mark, and the closer we got to Peggy’s Cove, the more fog we were in. We laughed at our luck on this trip—good weather has been hard to come by. 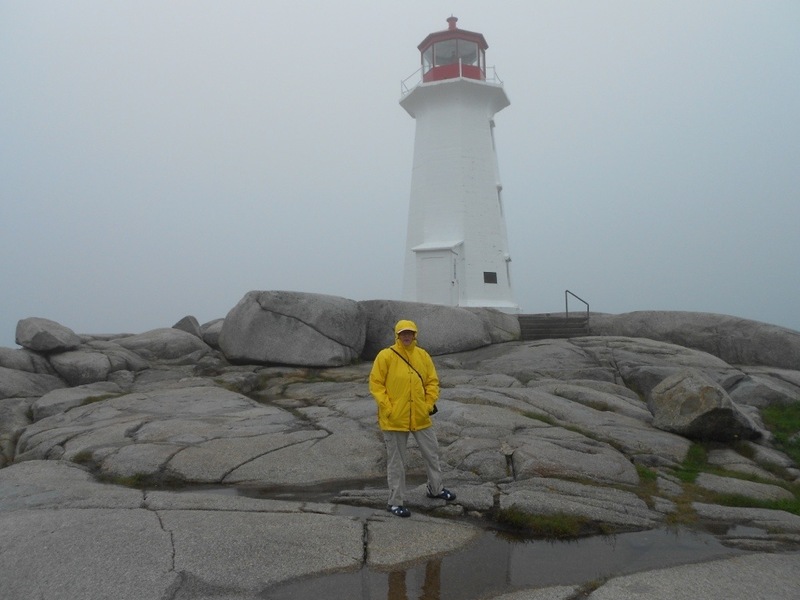 We arrived at Peggys Cove around 11:00 am and walked toward the lighthouse. 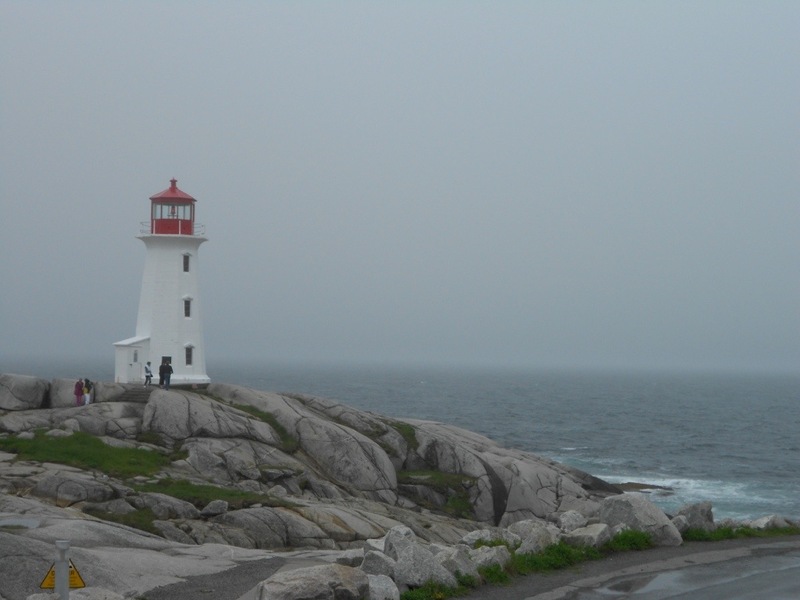 This lighthouse is well known for its rocky perch looking over the ocean. When we got out of the RV, we each had on about three levels of jackets. It was windy and mist was in the air. But what a gorgeous spot. 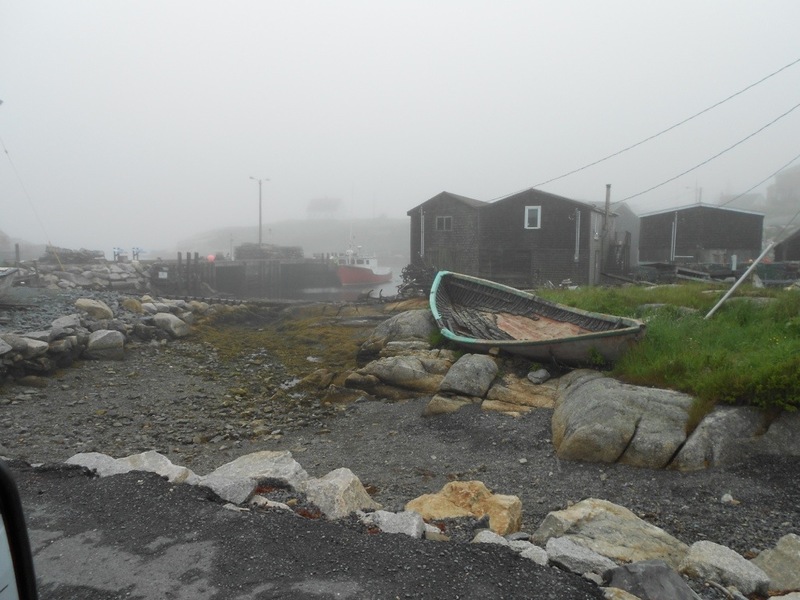 The little village of Peggys Cove is exactly what you see in the photos—–just a beautiful setting for a small fishing village. It was low tide when we were there, so some of the photos will show the seaweed on the rocks where the water will be later today. 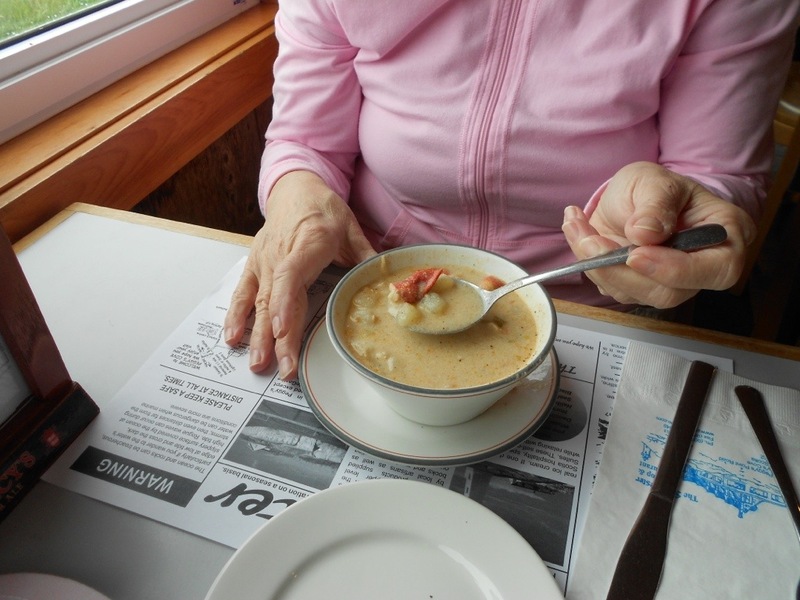 After visiting the lighthouse, we went into the restaurant on site and had a wonderful lunch of fish and lobster chowder. A hot lunch really hit the spot. 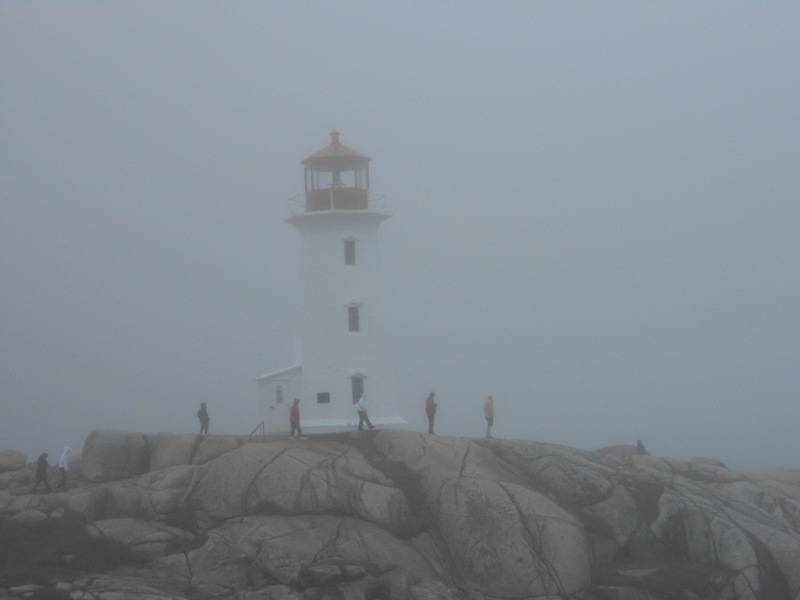 By the time we finished lunch, the fog was rising and the lighthouse was more clear. Really pretty. 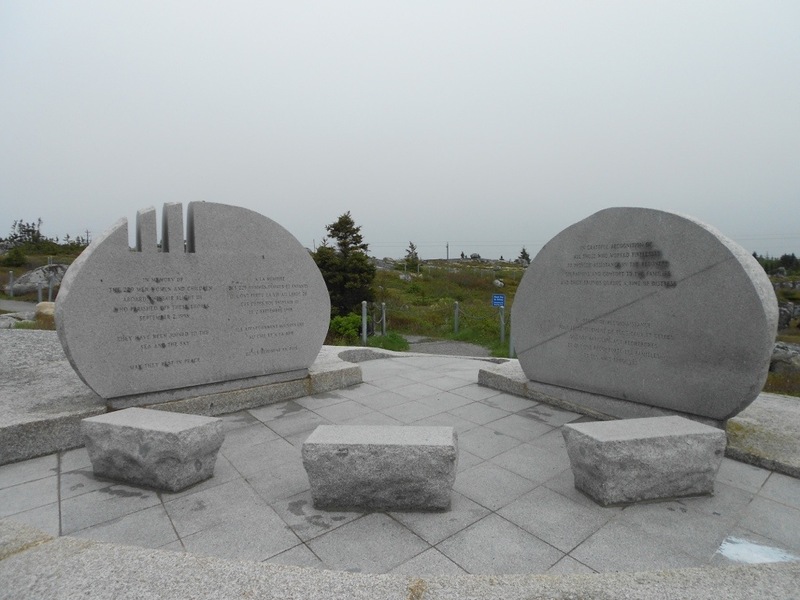 About a mile down the road is the Swiss Air Flight 111 Memorial. 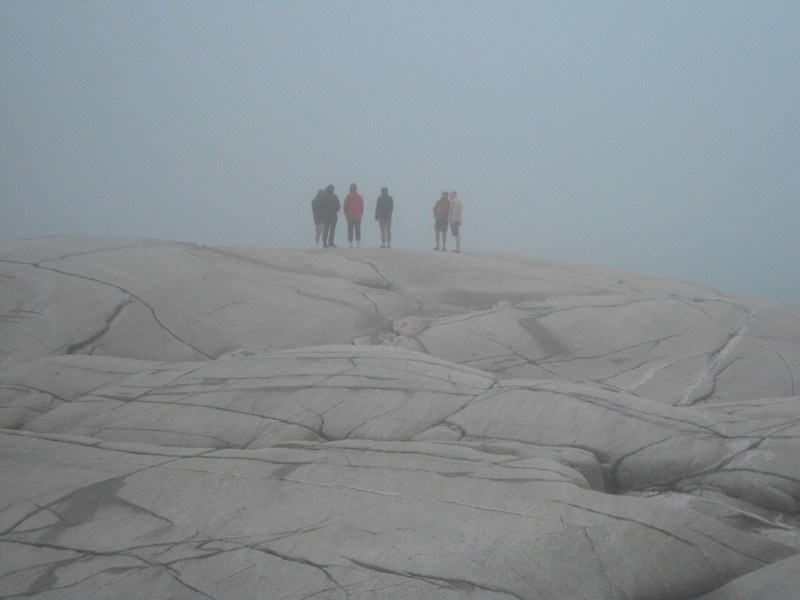 In 1998, a Swissair flight crashed 5 miles off shore near Peggys Cove due to an uncontrolled fire on board. The memorial was in appreciation to the citizens of this area for their comfort to the families of the passengers lost on this flight. 229 passengers and crew perished on this flight. 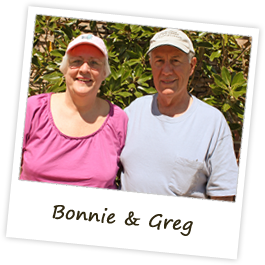 We stopped for groceries after visiting the memorial and enjoyed our drive along the coast of Nova Scotia. We’ve stopped for the evening near Mahoney Bay and we have a great little campsite right on a creek. The weather cleared right up and we’ve had a beautiful afternoon. We stopped for the day early enough for me to bake a berry cobbler for Greg (his favorite). We also bought a rotisserie chicken, and fresh spinach and broccoli. 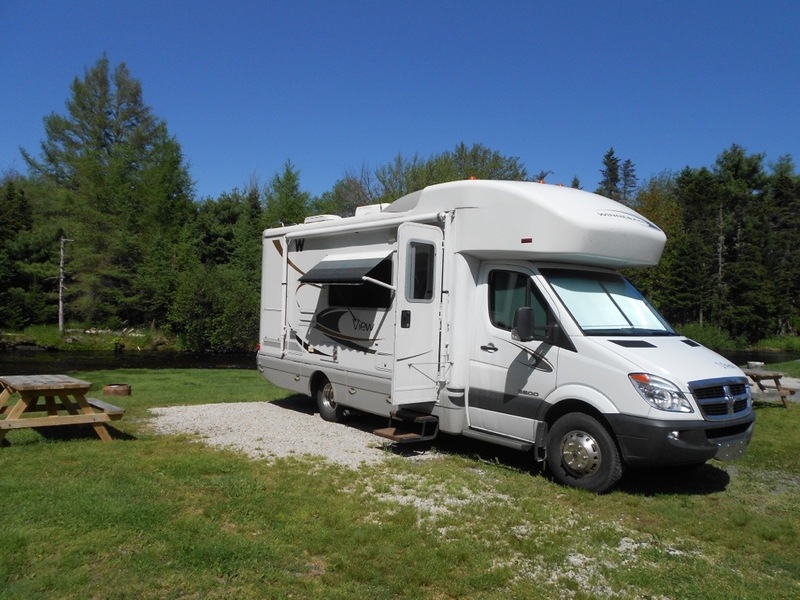 Tomorrow we will continue driving the western portion of Nova Scotia.